On March 13, we held the first ever Theme Thursday. With this series, we hope to provide a deeper context behind the language of strengths by talking in-depth about each of the 34 Clifton StrengthsFinder themes. We focused on Activator for the first theme. We brought in Gallup’s Curt Liesveld and special guest Tyler McCarty of Napkin -- a startup that helps companies tell the story of their brand, idea, or business through simple animated videos. Naturally, Tyler leads with Activator. There is a difference between raw and mature forms of Activator. Tyler talks about one of his first jobs out of college -- he noticed gaps in the company where things weren’t getting done. His Activator quickly kicked in, and instead of waiting for someone else to do something, he jumped in and took over -- even when it was outside his job responsibilities. He shared that he frequently got his hand slapped for executing beyond his role. This was a form of him using Activator in a raw sense. Tyler’s Activator matured when he knew the career path he wanted to follow -- he became an entrepreneur. This new journey made him aware that, instead of activating on impulse, he needed to draw from his other strengths and the strengths of those around him. To hear more about the Activator theme and how people like Tyler use it in their everyday lives, watch the full video above or the short theme video below. The next Theme Thursday will be on March 27, at 1 p.m. EDT, and we will dig deep into the Deliberative theme. Register today for the next show and all future shows! Don’t forget about Called to Coach this Friday, March 21, at 1 p.m. EDT. We are excited to host Gallup Senior Scientists Jim Harter and Jim Asplund. Keep the coaching conversation going at our Called to Coach Facebook page. It’s a great place to talk strengths with others who are also passionate about them. 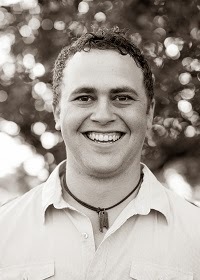 Tyler was first introduced to the Clifton StrengthsFinder by his mentor when he was 20 years old. For over a decade, he has used strengths as a major framework in his business and personal life, especially in leading and influencing others. Tyler’s top five strengths: Activator | Adaptability | Maximizer | Communication | Futuristic.